"From Boston to Savannah to Paris, the cities people consider "favorite places" all have one central characteristic: each was built using traditional planning techniques. Walkable neighborhoods, a connected street network, a mixture of uses including shops, work places, churches & schools, and a variety of living options offering something for everyone. Combined in a town plan, these individual pieces create a community with a true sense of place - just like at Hampstead. The architecture at Hampstead is another feature visitors and residents find appealing. We created a team of the country's top planners & architects to design homes, town center buildings, and civic spaces for Hampstead. The inspiration draws from precedents found in historic areas of Montgomery, combined with the English influence of Voysey, Lutyens and Mackintosh. The result is exceptional architecture that is both detailed and affordable. There is an unrivaled level of craft and consideration in every aspect of this place. Residents may not know we designed a street with a specific width and tree shade for the ideal pedestrian experience, they just know it feels right when they walk to the coffee shop. Visitors may enjoy sitting by the fountain in the town square, but not know we designed the fountain as the terminating vista from three critical angles. This is not a place of cul-de-sacs and closed doors. This is a place built for generations to come. Everyone who has worked on Hampstead - from our town planners to our brick masons - feels a sense of pride and personal connection to this place. Instinctively, people can feel the difference - the level of commitment - here at Hampstead. Join us as we continue to grow as a community based on happiness, health, and innovation. Come see the life at Hampstead." Duany Plater-Zyberk & Company (DPZ) is a world leader in the practice and direction of urban planning, having designed over 300 new and existing communities worldwide including Seaside, Kentlands, Rosemary Beach and many more. DPZ is the Town Planner of Hampstead, as well as the architect of many residential plans used in the community. Andrés Duany, as DPZ Project Manager of Hampstead, is guiding our growth with his vision and experience. Harvi Sahota and Anna Lowder are Town Founders of Hampstead, and lead the town planning, design, construction, marketing, and placemaking of the community. With over 14 years of New Urbanist development experience, Hampstead is the culmination of their effort in "Building Community Through Design." They are the principals of Matter Design Co., a multi-disciplinary design firm, and of Mercer Home, Hampstead's largest new home builder. Gary Justiss is a principal architect at Hampstead. After designing the signature Town Center buildings, Gary created house plans ranging in size from unique cottages to luxurious custom homes at Hampstead. Nationally known for his work on several New Urbanist projects throughout the United States and the Caribbean including Hampstead, Alys Beach and Rosemary Beach, Gary is experienced in residential, commercial, and civic building design. The Hampstead Architectural Review Committee oversees the design of all new buildings, as well as alterations to existing buildings, landscaping, and community features. Working with the Town Architect and Andrés Duany, the ARC is comprised of architects and practitioners experienced in design and traditional construction methods. The role of the ARC is to continue and protect the design criteria and value of Hampstead. Founded in 1956, The Colonial Company is a private, diversified holding company focused principally on real estate development. Headquartered in Montgomery, The Colonial Company has been a community leader in supporting the city's economic, philanthropic, and cultural growth for over 60 years. For The Colonial Company, Hampstead represents a new focus on traditional planning principles and sustainable development. Mercer Home is a national award-winning firm building industry-leading new homes for all ages and lifestyles. Mercer Home puts its focus on creating "Forever Homes" of long-term value in Hampstead. 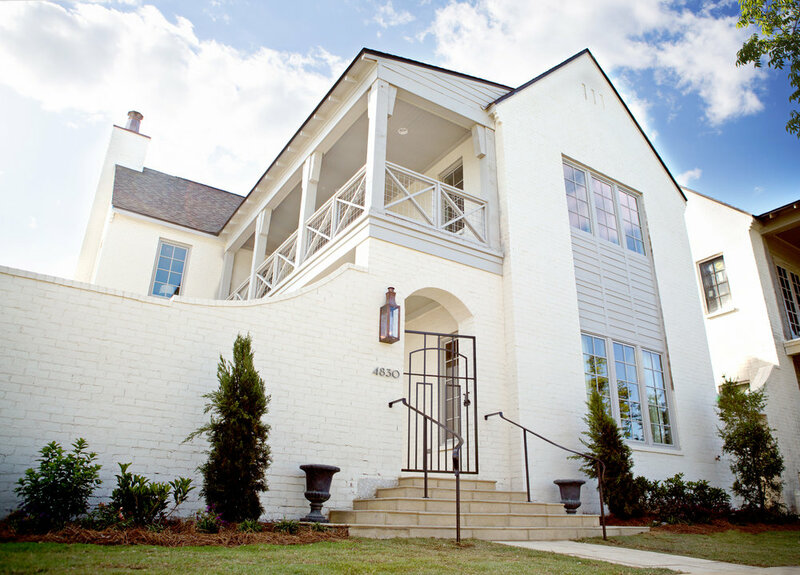 Utilizing the highest quality materials and best craftsmen, it strives to create homes to be enjoyed for generations including Alabama's first Southern Living Inspired Home and the Hampstead Show House 2019. Founded over fifty years ago on the principle of providing quality homes to customers, Lowder New Homes is known for its commitment to reliability, outstanding customer service, and experience in creating a range of choices suited to the lifestyles of its customers. Lowder New Homes builds homes in Hampstead and a range of other neighborhoods in the Montgomery area. For over ten years, Hampstead Community Realty has been helping people buy and sell homes. With a dynamic team background in real estate, design, and communications, our sales team brings a thorough understanding of the Montgomery, Alabama real estate market. We know what it takes to champion our clients’ needs and help find the perfect home at Hampstead just for you. Whether you’re relocating to Montgomery or looking for a change locally, we can help you find the ideal Move-In Ready Home at Hampstead, negotiate the deal, sell your Hampstead home, qualify buyers, assist in the financing process, and more. Colonial Commercial Realty, Inc. is a client-focused real estate asset management company that understands the path is equally as important as the outcome. Professional service delivers timely communications and optimum outcomes. CCR manages leasing for much of the commercial spaces and handles leasing of The Flats at Hampstead. The Hampstead Institute believes in crafting lasting places where people can live, grow, and learn. A community-based 501(c)3 non-profit founded in 2008, we promote building community through design, education, and wellness for all ages, using Hampstead as a focus for study and innovation. We operate the Hampstead Farm, interact with local schools, charities and non-profits, and organize events to grow community. The Hampstead ARC (Architectural Review Committee) oversees the design of all new buildings, as well as alterations to existing buildings, landscaping, and community features. Working with the Town Architect and Andrés Duany of DPZ & Company, the ARC is comprised of experienced practitioners of design and traditional construction methods. The role of the ARC is to preserve and protect the design criteria and value of Hampstead. Anyone interested in custom design plans or modifications to existing structures should read below for information on the necessary steps. The following outlines the step-by-step ARC Review Process for New Architectural Plans. This is meant to provide a quick view summary of the process. For a more detailed explanation, please contact the Hampstead ARC directly by email. Any and all design, construction, and modifications to property, structures or other improvements in Hampstead must comply with all requirements of the Hampstead Community Documents. The ARC reserves the right to amend this process at any time and without prior notice to any parties. To begin the Architectural Plan Review Process, email us at arc@hampsteadliving.com. 1. Prospect receives from the Hampstead Development Office the appropriate Hampstead Community Documents, including the Hampstead Design Code, Approved Architects List (located here), SmartCode Zoning information, and any other relevant details pertaining to available lot locations. 2. Prospect selects an Approved Architect, or submits additional architect name and necessary information to the ARC for review. The ARC reserves the right to turn down any architect for any reason. Submission of an architect whom is not on the Approved Architects List will generally slow the review process considerably, and incurs a $2,500 Non-Refundable Review Fee. Use of an Approved Architect has a $500 Non-Refundable Review Fee. The Conceptual Sketch Review concentrates on the placement of the home on the lot, the floor plan, and a generalized view of the home’s exterior. This is the first step in most architects’ planning of a new home, and it’s also the first formal step in the Hampstead Design Approval Process. Drawings may be hand sketched or CAD formatted. The Hampstead ARC may be able to make recommendations at this early stage that will improve your design. Also required from the prospect at this time is the non-refundable Review Fee. For Approved Architects, the fee is $500. For newly submitted architects, the fee is $2,500. This review confirms a correct interpretation of the Hampstead Design Code and a satisfactory design direction. Drawings may be hand sketched or CAD formatted. You will be notified concerning approval or any changes that need to be made before the plans can be approved. Once the plans are approved, the Hampstead ARC will sign and date them. Owners and their contractor are responsible for making sure that construction conforms to governmental regulations and all local building codes. If the ARC notes non-compliance, the Owner will be required to make the necessary changes. However, the ARC is not responsible for compliance with governmental requirements. This review checks the construction documents for compliance with the Hampstead Design Code and verifies that recommendations made at the Schematic Design Review have been incorporated. Compliance with applicable local regulations and building codes is the responsibility of architect and builder. Following this review, the ARC may recommend approval. If this occurs, the Owner can proceed to Lot Purchase. If you have not already done so, select a licensed general contractor to construct your home. You may select a contractor from the list of Approved Builders. If you would like to use a different builder, they may submit an application to the Approved Builder Program. There is no guarantee of approval. Although you will be responsible for negotiating your own contract with your builder, we strongly recommend for your own protection that the contract provide that the construction will not be considered complete until approved by the Hampstead ARC. Any alteration to the exterior of a Residential, Commercial or Civic Building must be submitted in writing to the Hampstead Architectural Review Committee as an Application PRIOR to any work commencing. This includes all Landscape, Hardscape, or Fence changes visible from any street. The submittal requires This Completed Form and all necessary details including site plans, dimensioned drawings, photographs, and materials list. Changes must have approval by the Hampstead ARC to ensure the property remains in compliance with the community rules, regulations, and design covenants in place. This includes repainting, re-roofing, and other repairs or changes to an exterior. The ARC will give written approval to alterations that meet its guidelines. Any work which does not have ARC approval will cause a lien to be placed on the property. The Hampstead ARC has oversight over furnishings and fixtures visible from any street, including outdoor furniture, flags, lighting, umbrellas and others as outlined in the Hampstead Design Standards. Please submit an ARC Application by email for additions. Each submittal for review by the Hampstead ARC requires a fully Completed ARC Application Form (download here). Be sure to read this form in its entirety including the required attachments and fees for administrative costs of the Committee. The ARC will convene to review submittals. Both city Zoning and the Hampstead Design Code will be reviewed for compliance. The ARC will put its response in writing and email to the owner. Responses may include: approval, request for more information, required alterations to the submittal, or denial of request. The ARC is NOT responsible for building code compliance - this is solely the responsibility of the property owner and contractor. Email your completed Application Forms to arc@hampsteadliving.com.